A simple, fresh and quite delicious all year round. Salad serves 2 or more just double up the recipe to increase the number of servings. With a normal kitchen knife slice thin wedges of all of your fresh ingredients. The thing you need to remember is you layer each in order in low bowl so it’s best to build your dish one slice at a time. 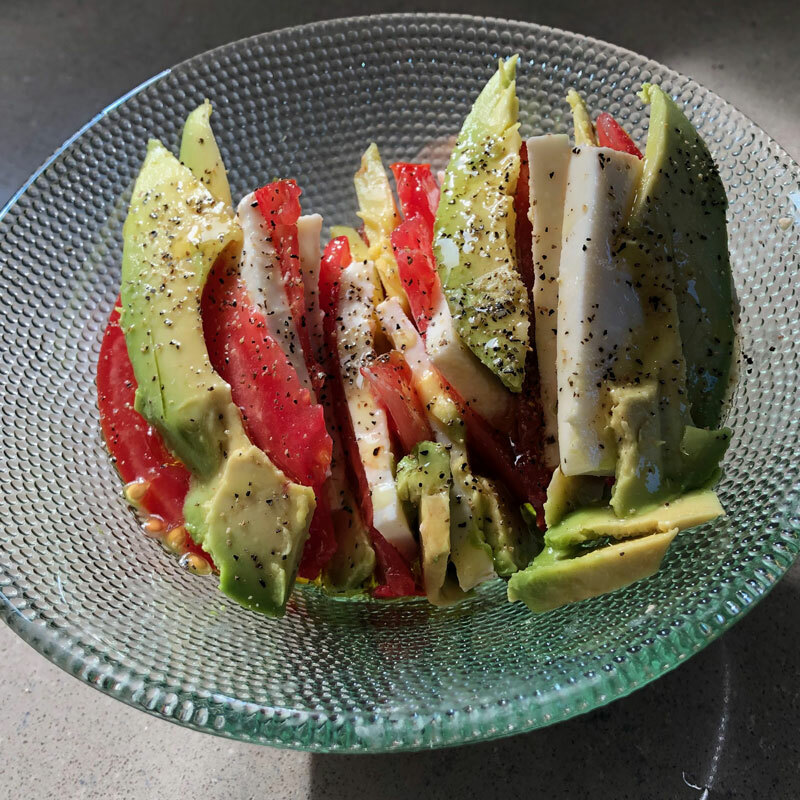 I recommend you start with a slice of Mozzarella, then Tomato next Avocado, repeat until you’ve used half of the Tomato and Avo with the Cheese. That typically makes two servings. When you’ve built the dishes, it’s time to dress, drizzle 1 TSP of Atlas Peak Olive Oil, 1 TSP of Balsamic Vinegar, over each serving, Sprinkle a pinch of salt and a dusting of pepper. Now your ready to serve a delicious, fresh and colorful salad year round.